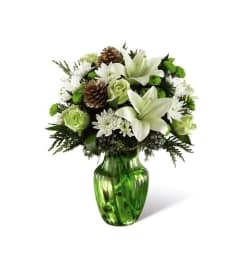 Wrapped in love and holiday joy, this Christmas flower bouquet is a wonderful way to share in the season with friends and family near and dear to your heart. 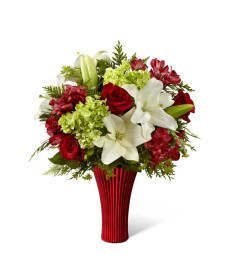 Rich red roses, red mini carnations, white chrysanthemums, green button poms, variegated holly, and an assortment of holiday greens are artistically arranged to blossom from a stylish red rectangular ceramic vase tied with a festive Santa ribbon to give it the look of a holiday present. 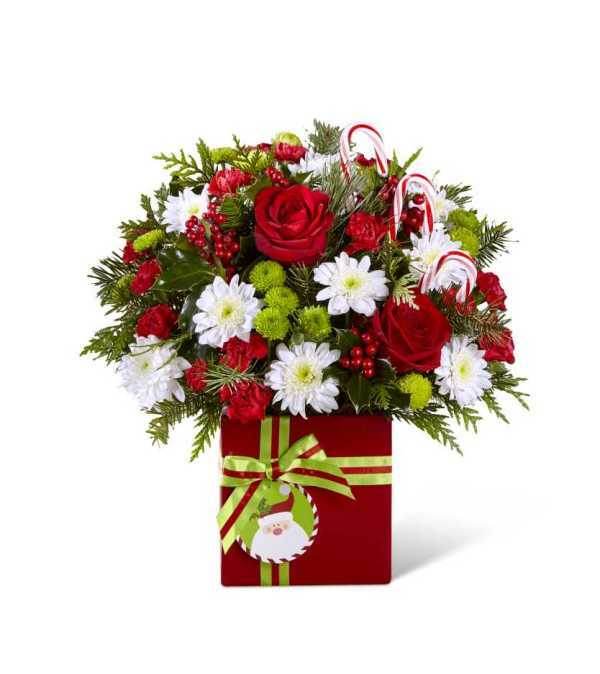 Accented with candy canes to add further appeal and fun, this gorgeous flower bouquet is set to make an excellent holiday gift.